Shirts With Random Triangles: Kingsman: The Secret Service Actress Sofia Boutella In Negotiations To Become Title Character In Reboot Of The Mummy. Kingsman: The Secret Service Actress Sofia Boutella In Negotiations To Become Title Character In Reboot Of The Mummy. 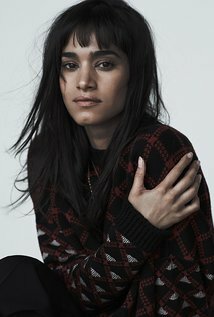 Sofia Boutella. Image via IMDB. Universal Studios has reportedly found it's new Mummy. The Hollywood Reporter, citing sources, said Tuesday that Sofia Boutella, most recently known for her performance in Kingsman: The Secret Service, is in talks to play the title role in the latest reboot of the classic Universal property. Yes, the new Mummy will be a woman. The film project, to be directed by Alex Kurtzman (People Like Us), is also reportedly in negotiations with Tom Cruise in a starring role. It is planned as the first of a cinematic universe of films based around Universal's stable of classic movie monsters, such as Dracula and The Bride of Frankenstein. The Mummy is scheduled for a March 24, 2017 release.